In the case of Hannibal Lecter, he has to create another monster, one which understands him and which he can understand. Hannibal Season 2 focuses intensely on Hannibal's attempts to make a killer out of Will Graham in hopes of finally being less alone in the world. Hannibal's plans to change Will result in changes to everyone in the show's cast, however, even more than what we're shown in the bloody finale. Throughout Season 2, we're shown characters combatting and embracing their natures, struggling with who they are to themselves and to each other. It's time to look back at how all the threads developed over Season 2 to come together in the finale. Warning: Spoilers herein. We're spoiling everything, including the Season 2 finale, so stop reading if you're not up to speed. In the interest of time, we'll try to stick to the broad storylines rather than going episode by episode. 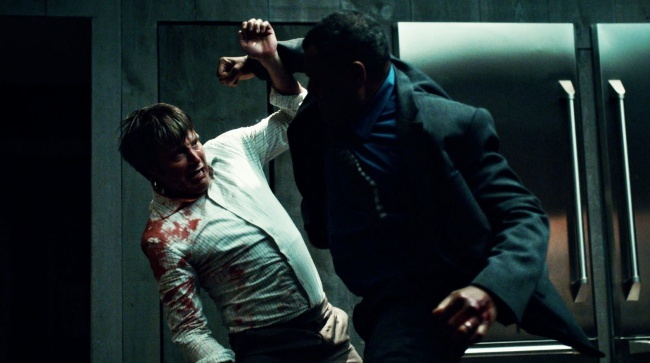 The season starts with a fight between Jack Crawford and Hannibal that ends badly for Jack, leaving him bleeding and imperiled, before leaping 12 weeks into the past. This colors the entire season from here on - over the next 12 weeks of in-show time, Hannibal will be revealed to Crawford. But with Will Graham in the Baltimore State Hospital for the Criminally Insane and accused of three murders, it's not at all clear what it will cost to get Crawford to those final moments of the season, or who will be damaged along the way. Will's turn in the asylum subtly pushes him toward serious psychological changes, and the effect on him is even more profound than Hannibal's influence on him in Season 1 ever was. 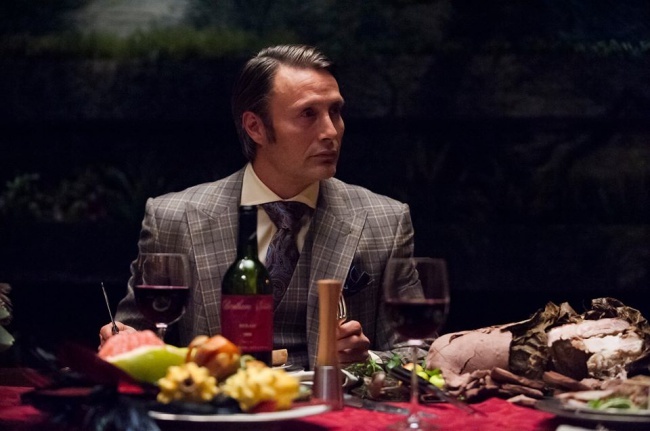 Being treated like a madman and losing the trust of everyone close to him -- Crawford, Alana Bloom, Beverly Katz -- is just as powerful as Hannibal's betrayal at the end of the first season. He tries to recall what Hannibal did to him with Alana's hypnotic help, but Will's unable to come up with anything he can prove, even as flashbacks start to give him a sense of what Hannibal did to him. Though the murders Will's accused of were all staged by Hannibal, Will can't prove it; he can barely remember what happened to him. The only life preserver Will gets is in the form of Hannibal's psychiatrist, Bedelia Du Maurier, who cuts off ties from Hannibal and tells Will she believes his story. She disappears before Hannibal has a chance to kill her, but the fact that someone so close to Hannibal sees who he really is helps keep Will's head above water. But serious damage is done to Will at the asylum. The show puts Will in Hannibal's place in the story, even going so far as to give Will bits of Lecter's dialogue lifted straight from Thomas Harris' novels, Red Dragon and The Silence of the Lambs. Will is physically transposed into Hannibal's place, and we all know what happens to Will when he puts himself in someone else's shoes. Meanwhile, Hannibal has the same experience in reverse as he becomes "the new Will Graham," as Beverly puts it, and consults on serial killing cases. Hannibal offers insights into the first new killer in the season, the mural killer, but he holds back information and seeks out the killer himself. When Beverly goes to Will for help in the asylum - creating more of those moments in which Will plays the part of Hannibal, the insane adviser to the authorities - it starts her on the track to believing him. Hannibal, meanwhile, kills the mural killer and adds him to his own design, giving some insight into what God and religion mean to Hannibal, and his sense of transcendence through seeking one's true nature. All the while, the Justice Department wants Will Graham and his interactions with the FBI to go away. Crawford is feeling culpable for "breaking" Will, and Alana blames him as well. Kade Purnell, an Inspector General's Office investigator, tries to get Alana to drop her implication of Crawford pushing Will too far from the official record, but she refuses; then she tries to get Will to plead guilty, and he refuses. 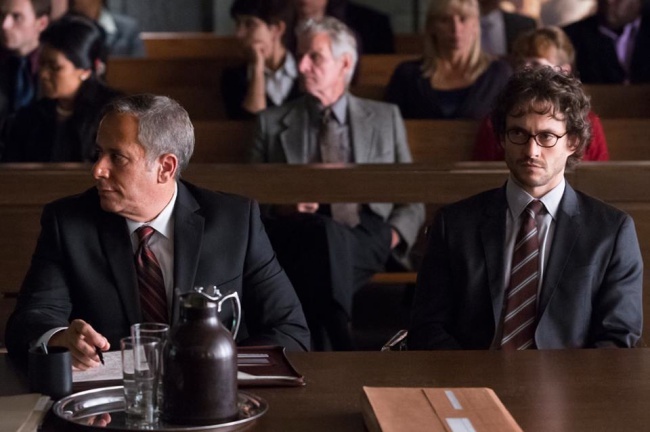 The institution of justice wants to cast Will Graham overboard, and his friends look for much of the season like they might get pulled down with him. When Will's trial starts, he begins to get some help. A copycat killer throws doubt on Will's guilt, first killing the bailiff in the case. As the trial is advancing, Crawford is becoming less and less convinced that Will is the killer he was chasing, and Beverly gets closer and closer to answers with the mural killer. With Will's help, she finds that the killer was made part of his own mural, and that the body hides trademarks of the Chesapeake Ripper. When Beverly investigates Hannibal's house to help Will, she discovers incriminating evidence of the Chesapeake Ripper killings, but she's found and killed by Hannibal. Lost, with no one to help him again, Will works to convince Crawford that Beverly was killed by the Ripper. The copycat killer goes on to murder the judge in Will's case, but doesn't quite convince the investigators that he is the same killer as the one in the murders of which Will is accused. The deaths result in a mistrial, however, and Will goes back into custody, where he discovers that an orderly at the hospital is the copycat. With no other options, Will asks the copycat to kill Hannibal. It's the final blow to Will's identity dealt by his incarceration; without any moorings, no one to help him, and Hannibal continuing to kill, Will has no choice but to become a killer, too. Hannibal survives the attack, thanks to the help of Alana and Crawford. Despite coming close to death, Hannibal actually sees Will's attempt to kill him as a breakthrough: Hannibal wants to make an equal out of Will, and he's getting closer and closer to achieving that goal.